Vampires are iconic, and as with any iconic design, people think of specific colors when they think of the icon themselves. Today I will be talking a little about the colors that are commonly used for vampires. 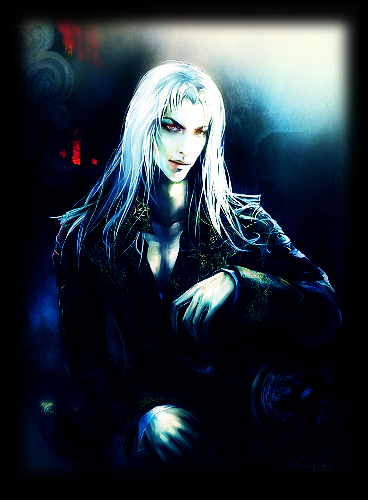 Vampires are usually depicted dressed in black, with pale, white skin. This creates a contrast which helps them stand out and appear more ominous. The paleness of the skin is also used to make the vampire look more corpse-like, because vampires are supposedly the bodies of the dead, coming to life to feed off the living. The black helps them hide in the dark of the night, and makes them more intimidating. The color red is also commonly used with vampires, as it signifies blood, which vampires usually drink. It also represents anger and danger and makes the vampire more spooky. But black, white and red aren't the only colors to be used when designing vampires. Pale green is also popular, as it makes their skin look more deathly, and shows them as even more corpse-like. Pale green is the usual skin-color of the Jiangshi vampires for this reason. The color green also contrasts well with red, so it makes the red of their eyes or the blood on their mouths stick out more. Many pale, pastel colors are used for the skin of vampires, because the body turns many colors when it dies, and also because it helps them stand out and look more unique. The myths and stories of the vampire have long been popular with the gothic community, and because of this, many gothic colors (including black and red) are commonly used in vampire designs. Purples and blues are used a lot, because they make the vampire more look more cold and deathly. The less human vampires usually have the more outlandish skin colors, while the more human have more natural skin colors. 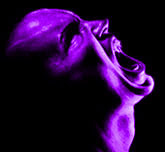 The color of a vampire's skin can be used to determine how long they've been a vampire, and can make them much scarier. The main things to think about while choosing a color pallete for a vampire is what you are trying to convey. A vampire is dead, so it's important to make them look as dead as possible. Pale skin (devoid of blood) is usually a good idea. An unnatural color like green or purple helps give them a more inhuman and spooky vibe. Dark clothes contrast with the pale skin and help make it more pale in comparison. But just because this is the popular way to do it, doesn't mean it's the way you have to go about it. If you know what you're doing, your vampire design will be spooky! These are just how traditional vampires are done.